Several friends of mine, have decided to take MeWe for a test drive. MeWe is a new Social Media site that describes itself: "MeWe is the world’s private communication network. We turn the table on Facebook and other social media companies with a revolutionary service that emphasizes privacy and social sharing where people can be their true, uncensored selves. No spying. No cookies. No data sharing." It's free.. there are no fees. I'm not sure how that can be, or how that works, and am feeling cautious and skeptical. Did that stop me from joining my friends? Heck no... I'm too impetuous for that. Putting faith in the knowledge that my friends are very cautious, discerning and do their due diligence in deciding these types of things, I signed right up. I don't really have an opinion yet. It's time consuming to figure out... and there is alot to figure out. But, if everything they say is true, it might be worth it. I've got it on my desktop, as well as both my iPhone and iPad. Has anyone here given MeWe a try? I'd love to hear any feedback you might have. libra89 and Lee_Bo like this. I've read about it, but not tried it myself. It seems like every few years a social network claiming the same thing sprouts up, then eventually turns into something else. Hopefully one will succeed one day. First I've heard of it. I might keep an eye on it and see what develops. I jumped on the Google+ bandwagon several years ago but it seems once society has accepted a "king" of social media, it's hard to get them to try or even look at anything else. 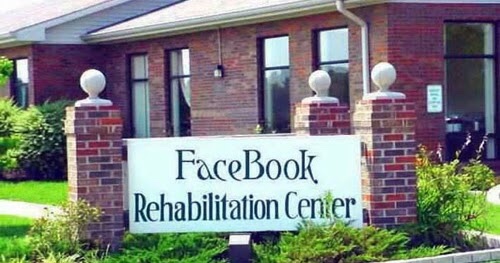 I think despite all the media coverage, FaceBook is so big that it will be a long time before it goes anywhere. The biggest thing is utilizing a platform that also has all of your friends and family. It's awesome if everyone you associate with has migrated to that platform. I'd have a hard time getting my family on board as they are so attached to Facebook for varying reasons. I personally don't use Facebook but it's nice to see alternatives are out there that can offer privacy protections. The more I think about it the more I like the idea. I can keep the people I truly want to keep up with on MeWe, and all the others, like coworkers, former classmates, distant family, etc. on Facebook. TBH I never really use Facebook anyway. I only keep my account active for Messenger. Nope, I haven’t heard of it, but I’ll check it out. Looks good. Now to figure out what to do on it. Wild horses couldn't drag folks away from Facebook. There is help.